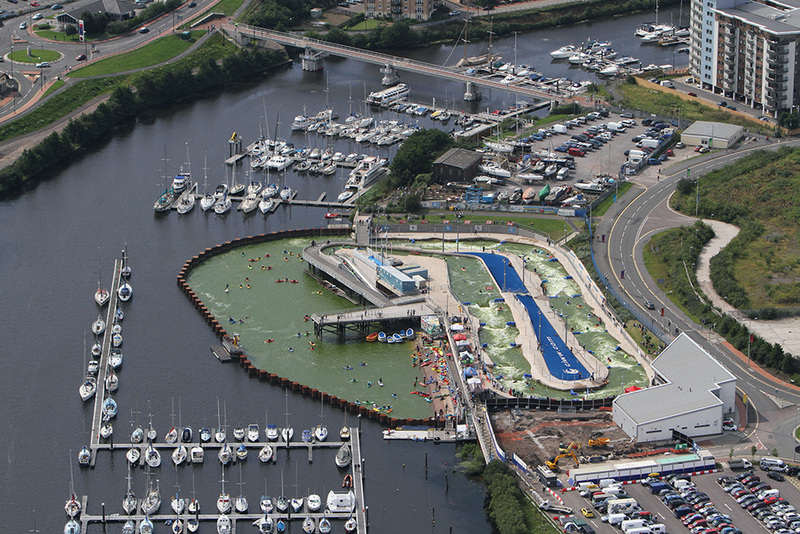 Cardiff International White Water (CIWW), based next to the River Ely, opened its doors in 2010 as the UK’s first pumped white water course. In 2013 an indoor surfing Flowrider was added, bringing the tally of activities to include canoeing, kayaking, rafting, surfing, river boarding, duckies and of course SUP. CIWW is a coaching centre of excellence for paddle sports and runs courses for children, beginners and advanced. The centre is open seven days a week and is the best access to Cardiff Bay, River Taff and River Ely. This is the best thing; you can experience a sheltered area when launching on the River Ely with yachts and swans the only traffic. The bay itself is 200 hectares of exposed water. We recommend you paddle around the edges and avoid the barrage gates and fish pass. From here you can head into more sheltered water and the great River Taff, paddling under the Millennium Stadium. Check in at reception; you will need pay £5 for a membership card (one off) then £6 to launch which includes your parking, shower and locker usage. Parking, boat / board park, launch area, changing, lockers, café and viewing area. Boat traffic in the bay and Barrage area. There is no speed limit in the bay so stay close to the edges! A great place for beginners to advanced paddlers with sheltered waterways and open water. A unique city paddling experience.